When you think of high end luxurious accessories, jewelry is the first to come to mind. Colorful gemstones that sparkle and polished 14K white gold are staples of any trend in fashion. 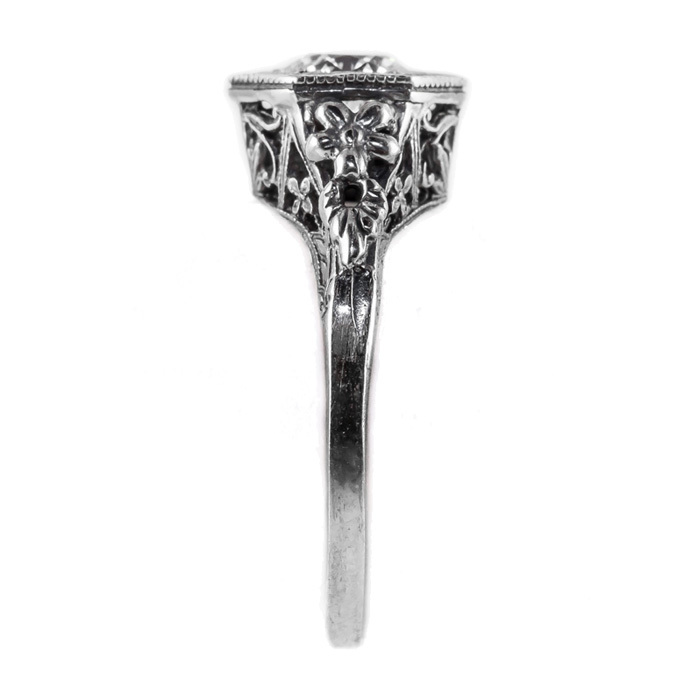 Nothing says luxury quite like the exquisite, handcrafted vintage floral design ring by the jewelry experts of Apples of Gold. A sparkling blue topaz gemstone surrounded by 14K white gold is a fashion statement fit for the stars. 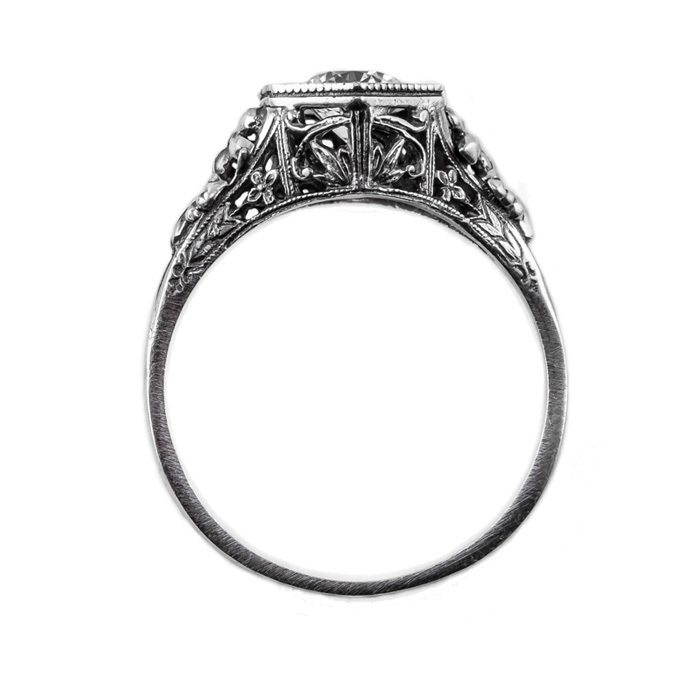 The vintage inspired ring measures 5mm and offers years of feeling fancy every time you wear it and is proof that dreams really do come true. By adding a bit of blue topaz bling to classic vintage style jewelry, Apples of Gold has high end fashion in mind. Talk about an aha moment. 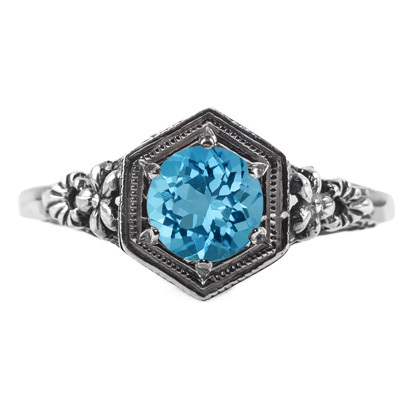 We guarantee our Vintage Floral Design Blue Topaz Ring in 14k White Gold to be high quality, authentic jewelry, as described above.